Hotelito for sale in Tulum in Centro, Tulum is Sold! in Centro, Tulum The commercial at Hotelito for sale in Tulum has been sold. 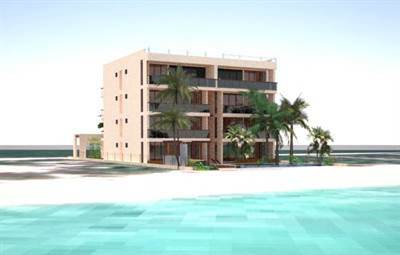 in Beachfront, Akumal Announcing a price drop on Luxury Beach condos, a 1366 sqft , 2 bath , 2 bdrm single story. Now FOR SALE USD397,300 . Just one condo left! 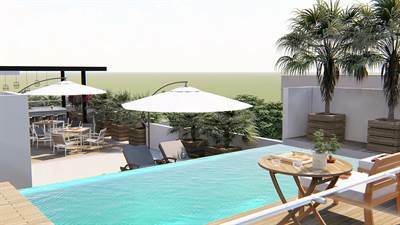 Amazing Price for NEW Tulum Condos! 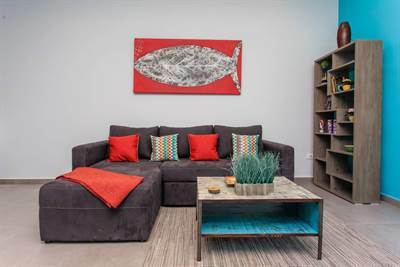 Fully-furnished 1-bedroom condo for sale in Tulum, Riviera Maya, Mexico. 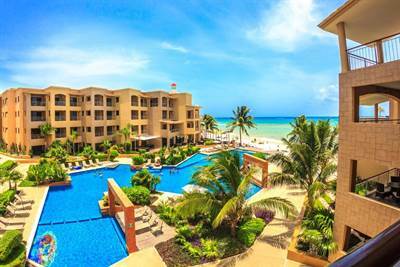 Featuring great amenities, high-quality finishes, and a great location, this condo for sale in Tulum makes a fantastic investment opportunity in the hottest real estate market in the Caribbean. 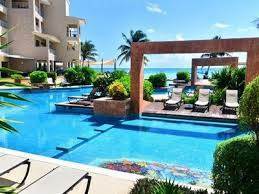 Located inside Tulum’s most exclusive gated community “Aldea Zamá”, this condo for sale in Tulum is ideal for those looking for a second home with lots of vacation rental potential. Aldea Zamá is an ecological and urbanized community, fully adapted to the surrounding forest and natural environment. It is located in a privileged area and it is immersed in the Mayan jungle, minutes away from many local attractions: the archaeological site, downtown, the beaches and the hotel zone of Tulum. Tulum’s ideal weather, the wonderful jungle, and the mesmerizing Caribbean waters invite you to stay forever. The ancient Mayas named it Zama or “dawn”. Today, it is worldwide known as Tulum, which means “wall”. Its ruins still look onto the crystal clear coral reefs. Tulum is surrounded by harmony. Ready to know more? Call us now for more information, or to schedule a viewing. 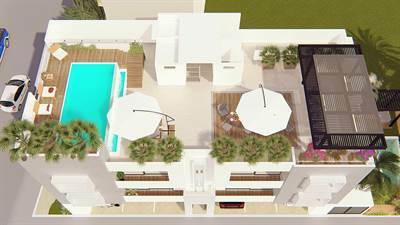 Brand new, 2-bedroom home for sale in Playa del Carmen. 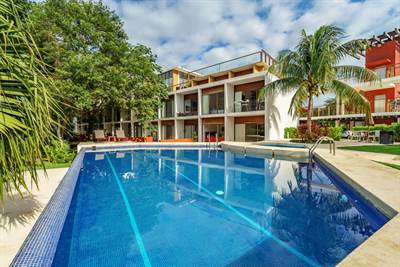 Conveniently located in the downtown neighborhood “Zazil-Ha”, this Playa del Carmen home for sale is only 5 blocks away from 5th Avenue and the Caribbean Sea. *High ceilings and lots of natural light. *Private small pool with jacuzzi features. *High-quality construction, and high-end fixtures and appliances. *A/C and Refrigerator Inverter (low energy consumption). 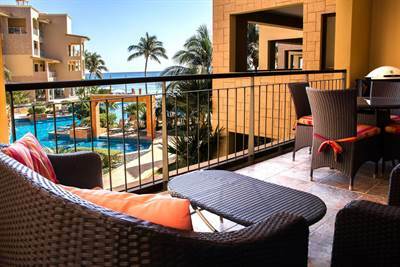 *Located in quiet and secure neighborhood 4 blocks from 5th Avenue and 6 to “Mamitas” beach. *Consistent returns from rentals in this area. *Extra Outdoor shower by the pool. This property is essentially an independent Town House from the overall building. It enjoys privacy and security, and all utilities are separated. 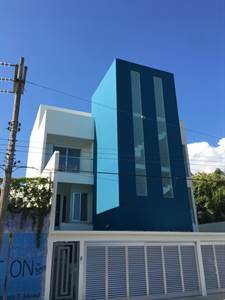 This wonderful home for sale in Downtown Playa del Carmen comes equipped with state-of-the-art appliances, granite countertops and kitchen island, and other features that make it a true turn-key investment opportunity. This home is priced to sell! Call us now for more information.